If your child suffered bleeding of the brain at birth, you could have grounds for a medical malpractice lawsuit against the doctor responsible for your care. If your child suffered bleeding of the brain at birth, you may have grounds for a medical malpractice lawsuit against the doctor responsible for your care. Members of the doctor’s medical staff may also be liable for your child’s injury. 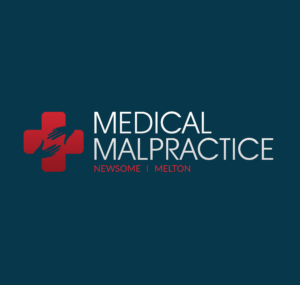 A bleeding of the brain birth injury lawyer from Newsome Melton can help you file a malpractice claim and pursue damages. At Newsome Melton, our birth brain injury attorneys have a lengthy track record of recovering medical malpractice damages for our clients. We work on a no-win-no-fee basis, which means you do not pay us anything until we recover money for you. We charge for results, not for our time. To receive a free case evaluation from a member of our staff, call our office today at 855-633-2757. Bleeding of the brain, known in the medical community as intraventricular hemorrhage, is highly dangerous to newborns and infants. If it is not treated appropriately and promptly, often with delicate surgery, bleeding of the brain can lead to lifelong disabilities and even death. When you are expecting, your physician and their medical staff have a duty of care to do everything they can to prevent birth injuries. Your doctor should have recognized the risk factors. He or she also should have made the right diagnosis and administered treatment upon your baby developing the condition. Failure to appropriately diagnose or treat this condition may constitute medical malpractice. If your newborn exhibits at least one of these signs, your doctor or health care provider has a duty to recognize and promptly diagnose and treat your child’s condition. Any misdiagnosis or delay in diagnosis can increase the baby’s chance of long-term health issues. For a free case evaluation with an attorney from Newsome Melton, call 855-633-2757 today. Your doctor or their staff had a duty of care. They did not uphold that duty of care. Your child suffered a birth injury as a result. We first must show that the responsible party owed you a duty of care. All doctors have this duty to their patients, as do the members of a doctor’s medical staff who are involved in your care. The second thing we must prove is that your doctor or healthcare provider did not uphold their duty of care. We compare the responsible party’s actions to those of a “reasonable person,” often using medical expert witnesses to determine whether your doctor failed to follow correct procedure. If we can show that your provider’s actions deviated from the response of a reasonable person faced with the same situation, we can demonstrate a failure to uphold the duty of care. Third, we must show that as a direct result of your doctor or provider’s failure, your child suffered a bleeding of the brain birth injury. We can draw on several pieces of evidence to make this case, including your medical records and statements from subsequent treating physicians. Finally, we must list the medical malpractice damages, both economic and non-economic, that you incurred because of your child’s bleeding of the brain birth injury. To speak with a member of our team and set up a free case evaluation, call us at 855-633-2757. On of our bleeding of the brain birth injury lawyers can help you decide on your next steps. Please be aware that you do not have unlimited time to file a medical malpractice lawsuit. Every state has its own statute of limitations. It can vary significantly from state to state. An attorney can help you overcome looming deadlines. The Newsome Melton team can file a quick lawsuit on your behalf in order to avoid any statute of limitation issues. To find out more about how we can help, call us today at 855-633-2757. Our bleeding of the brain birth injury lawyers are eager to start working on your case today. We can help you recover compensation for your child’s injury. For a free case evaluation, call us at 855-633-2757.